eBay Motors and SHIFTMobility Partner to Drive Independent Repair Shop Parts Sales - ShiftMobility Inc.
REDWOOD CITY, Calif., May 16, 2017 /PRNewswire/ — SHIFTMobility Inc. (www.shiftmobility.com), creator of the world’s most advanced telematics-enabled automotive platform, today announced a partnership with eBay Motors. This new partnership combines SHIFTMobility’s mobile automotive aftermarket service center solutions with eBay’s robust inventory of auto parts. Today’s consumers have become accustomed to seamless experiences on their mobile devices, and automotive professionals are no exception. On eBay Motors, a single car part is purchased every three seconds via mobile devices. Couple this mobile-first preference with the rise of the connected vehicle and it’s clear the automotive industry is poised for explosive growth – it simply needs the right platform. Today’s repair order processes are costing repair shops an average of fifteen minutes, but technology can enable a quicker experience. By integrating with eBay’s APIs, ShopLite™ connects automotive repair shops to eBay’s vast selection of aftermarket automotive parts. With ShopLite™, discovering and ordering the right part is a one-click affair. 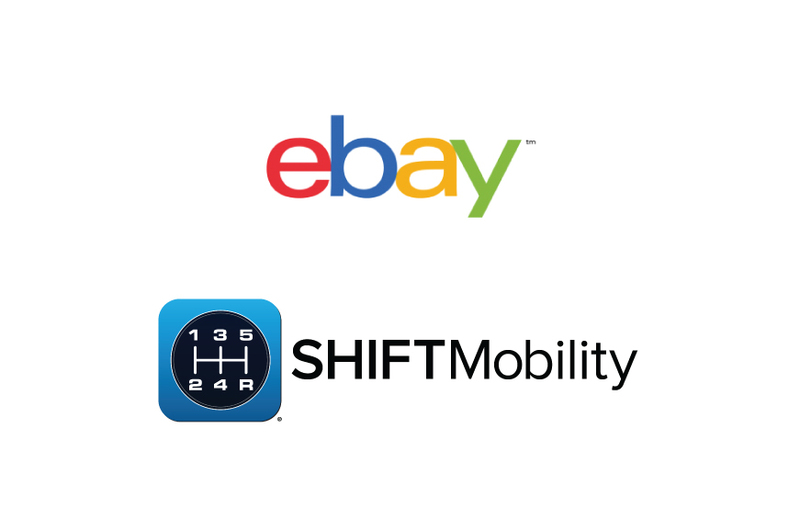 The integration with SHIFTMobility is part of a broader API initiative undertaken by eBay to help connect buyers and sellers together seamlessly. For additional information, visit www.shiftmobility.com. To get started using ShopLite™ powered by eBay, visit www.shiftmobility.com/ShopLite, or download the app from the Apple App Store® or Google Play™ store. SHIFTMobility speaks automotive and drives connectivity – our innovative telematics platform revolutionizes the way car service is performed and parts are purchased. Built specifically for the automotive industry, our technology vertically integrates manufacturers, distributors, repair centers, and vehicles on a common platform – enabling organizations of any size to leverage the power of mobile connectivity to drive value, agility, commerce and deep insight at the speed of now. This Connected Service Network enables faster repairs and frictionless part commerce. Additionally, the extensible platform is well positioned to capitalize on and support the upcoming wave of new vehicles and their corresponding technologies. Discover which app is right for you at shiftmobility.com. eBay Motors (www.ebay.com/motors), a part of eBay (Nasdaq: EBAY), one of the world’s largest marketplaces for buying and selling all things automotive. The site offers everyday cars for everyday drivers, as well as collector cars, motorcycles, auto parts and accessories.